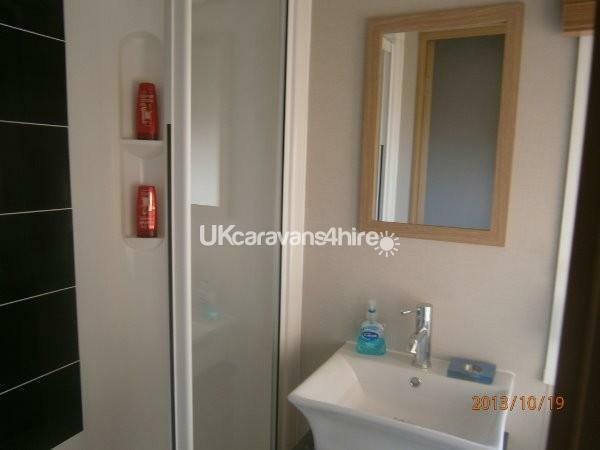 Additional Info: Corner plot, luxury caravan, excellent double glazing and heating system. 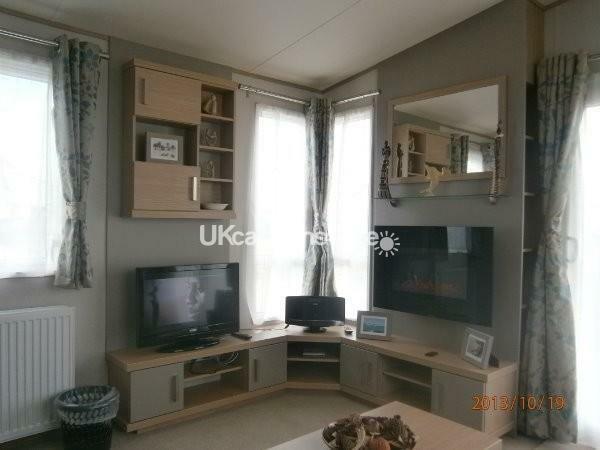 short 2min walk to sea views. 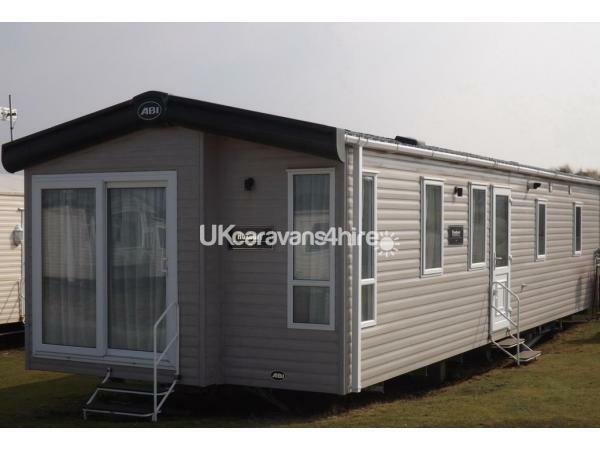 Our caravan is still like new and is very comfortable with a king size bed and en-suite toilet as well as the main bathroom with power shower. many extra's including iron and ironing board and bluetooth speaker. A real home from home. Please be as specific as you can especially if any options on dates or preferences. I do not usually do weekends but may do mid week breaks in low season. I generally book Friday to Friday in low season and Sat to Saturday in the summer months. 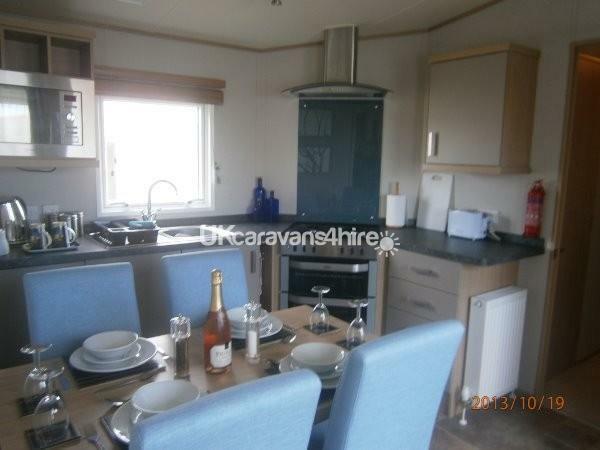 Roxbury luxury 2014 caravan on 345 Penreath View, which is on a large corner plot near the sand dunes and within a couple of minutes' walk from the cliff top with stunning views out across the sea. It is a couple of minutes' walk from all the main site facilities, yet far enough away to avoid any noise. 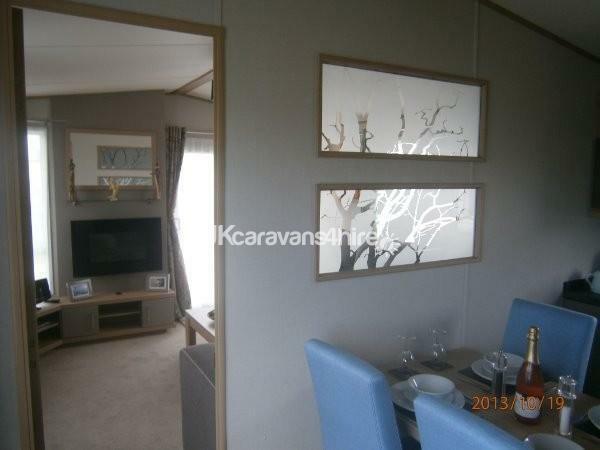 It is a Luxury 2 bed Roxbury 38x12 ft. caravan - 2014 with double glazing and gas central heating. 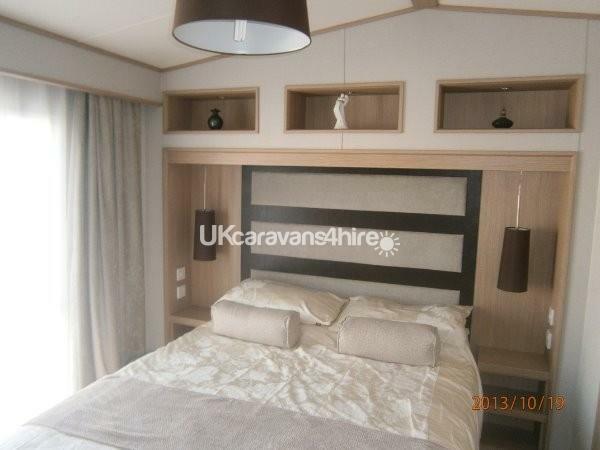 Features include: A separate lounge with a sofa bed, patio sliding door and built in comfortable furniture, TV and electric glow fire and large blue tooth standing speaker. 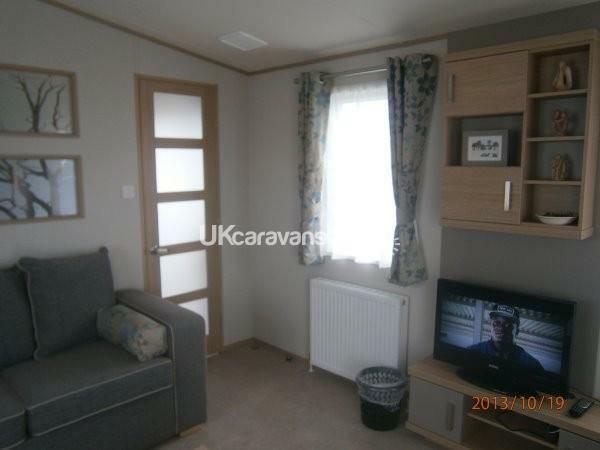 There is a fully fitted kitchen diner with full size gas cooker, integrated microwave including grill, integrated full size fridge/freezer and larder cupboard, and free standing dining table and chairs. 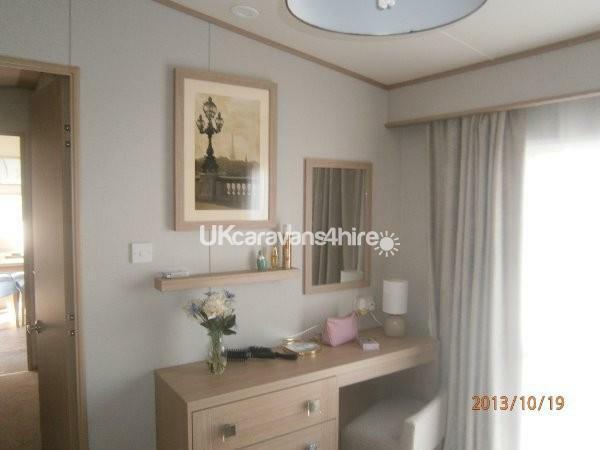 Master bedroom with king size bed, bedside tables and lamps, soft lighting, dressing table and stool, T.V, walk in wardrobe, and en suite toilet. We provide iron and ironing board, hair drier and coffee maker and a standing blue tooth speaker. 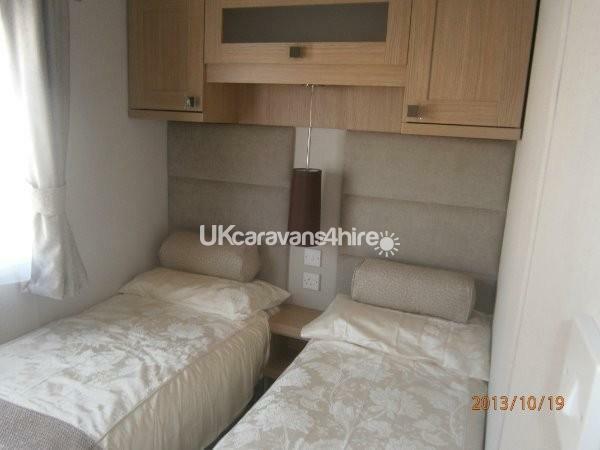 Second bedroom is of good size for a static caravan and provides twin beds, bedside lighting, wardrobe and shelving. 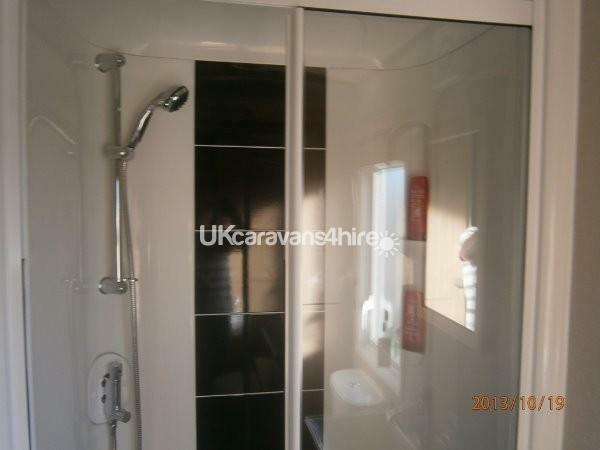 The bathroom has double shower with power shower, modern sink, toilet, shelving and cupboards. There is a door separating the lounge and kitchen diner with two feature glazed picture windows giving lots of light from the lounge area into the dining area. A further door in the dining area separates this area from the bedroom and bathroom areas. This is an active park with lots of entertainment and facilities including indoor and outdoor pools. 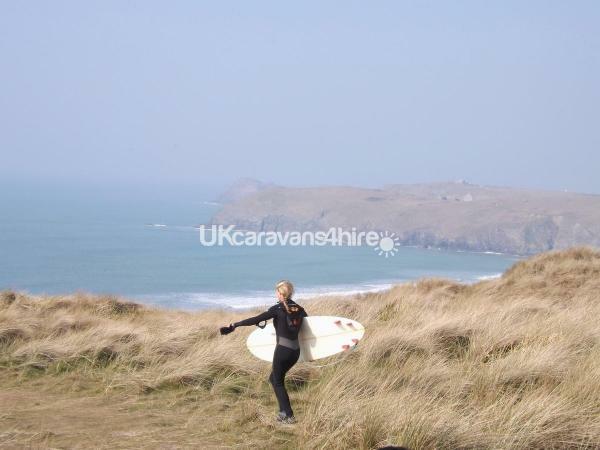 The location is near to Newquay and the A30 for access to the rest of Cornwall. It is located in the dunes within a couple of minutes? walk to views of the sea across the dunes and also a walk down to this great surfing beach. It is within a couple of minutes? walk to the main facilities but within a quiet area. You can walk along the beach at low tide to Perranporth a popular destination for locals and holiday makers. There is a picnic table for your use outside. 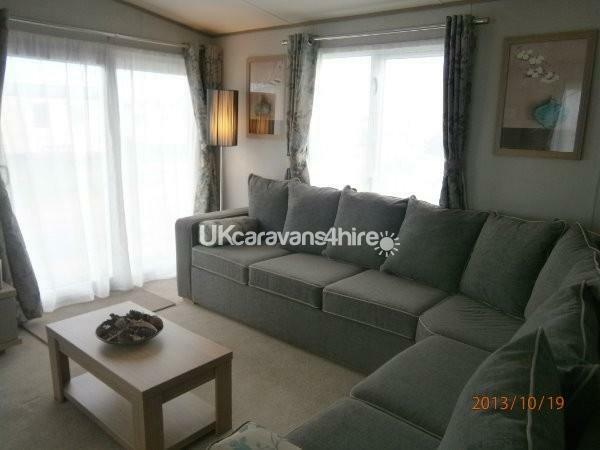 This is a corner site and it is possible to park up to three cars by the caravan. Haven passes can be obtained on site as can linen and other items such as baby equipment. It is worth discussing your needs as we can help with these items also. For more details on prices, availability and booking conditions please contact me. Additional Info: Facilities on site include an indoor/outdoor pool, with lazy river. Entertainment complex & restaurants. Arcade with variety of entertainment. Evenings in the entertainment lounge include top acts, bingo, fun stars entertainment for adults and children. There are other activities including crazy golf, roller disco, gym, sports lounge, surfing school includes other activities such as paddle boarding. Air rifles, archery, football, electric scooters. Included on site are kids clubs and entertainment for all ages. This site is still providing full entertainment and facilities in low and mid seasons as well as in the main holiday periods. Variety of eating establishments including Papa John's pizza, Cooks fish and chip, Surf Bay beach style restaurant and the Funky Fish seafood restaurant serving locally caught seafood and meat dishes. There is a basketball/football court, archery, fencing and shooting dome, surf school plus the huge 300 acre nature reserve a site of special scientific interest. Overlooking Perran sands close to the famous Perranporth beach and village often on T.V for surfing lifesaving and the watering hole pub on the beach featuring famous musicians during the spring and summer and within minutes of the popular golf course.